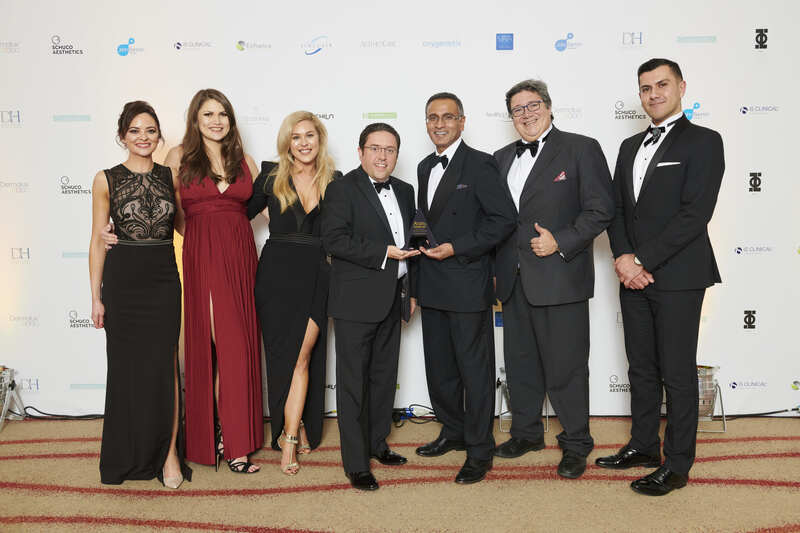 This award will be presented to the supplier who is deemed to offer the best training events on their products or services. Product led Judges will look for engaging methods of delivery, a high-quality, relevant programme and achievement of measurable outcomes. The winner will be selected from the finalists using a combination of Aesthetics reader votes and judges scores. Voting will constitute a 30% share of the final score. Healthxchange Academy offers a comprehensive syllabus with flexible CPD approved learning covering skincare, injectables, medical technology, life support and business topics. Delivered by recognised expert Doctors, nurses and industry professionals, provided in state-of-the-art facilities in Manchester, Dublin and leading medical venues regionally in UK and Ireland. TARGET AUDIENCE: Doctors, surgeons, dentists, nurse prescribers, nurses, aestheticians and support staff. Courses cover beginner to refresher, advanced aesthetics, running a clinic and clinic managers, from new through to seasoned medical professionals. FORMAT: Variable formats/multiple mediums are deployed giving convenient relevant access to learning. Workshops are conducted by leading physicians e.g. Dr’s Sam Van Eeden, Sam Gammell and over varying durations. Formats typically cover theory then practice with options to watch a demonstration or one-to-one hands on with a model. Sessions are standalone but designed as part of a comprehensive progressive programme, some required attendance on the Basic prior to the Advanced. Essential content includes anatomy and physiology, risk reduction and complication management. Unlimited complimentary refresher training to ensure the achievement of learning objectives and best patient outcomes through total practitioner confidence and competence. FACILITIES: Training takes place in 4 state-of-the-art, bespoke Healthxchange facilities. Alternatively medical venues such as 1 Wimpole (RSM), Cavendish Centres and leading client clinics across the country are used for regional reach. Our facilities with onsite pharmacy for collection of products (and immediate use) are chosen by leading manufacturers and trainers e.g. Allergan (for MD Codes, Botox, Juvederm training), Sinclair Pharma and Teoxane as their venues of choice. Education is at the heart of our business. AestheticSource Training is designed to ensure our delegates are confident in the use of our ranges, covering all aspects from marketing to assessment, products and protocols, to successful outcomes including managing adverse events. Trainings are held in appropriate Aesthetic training facilities such as Harley Academy, the RSM, or in-clinic for larger customers. We also work in conjunction with training partners such as Harley Academy, MATA Training, Cosmetic Courses and others. A multi-disciplinary team of qualified professionals deliver the specific training covering skincare, peels from very superficial to deep, mesotherapy and injectable products. Our evidence based trainings are designed for specific target audiences such as Aesthetic Therapists and Aesthetic Medical Practitioners. Depending on their experience and qualification level, there are multiple course options available. -	Follow up support and optional refresher courses are available free of charge. Advanced courses are delivered in conjunction with the brands we work with at their R&D sites in Princeton and Spain. Teoxane Laboratories are committed to offering the best Medical Education and training events to the Aesthetics industry, specifically injectors of hyaluronic acid. Teoxane offer various different training avenues, all of which fall under a strict ‘Medical Education Standard’ set by Teoxane. Each month, the brand holds hands-on Masterclass training sessions across the country, each with a certified Teoxane ‘Country Expert’ to lead the course. In addition to this, local hands-on training courses are held with appointed ‘Brand Ambassador’ trainers across the country in each region. Last of all, Teoxane employs an extremely experienced nurse practitioner, Heidi Dollimore, as a Training Manager. Heidi delivers hands-on, intimate training with customers of Teoxane every day. 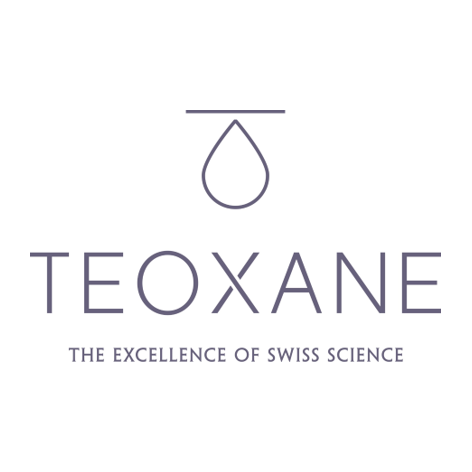 It is a key objective for Teoxane to ensure that Medical Education practices are at the highest standards, and, that practitioners using Teoxane products have the best training services available to them. Medical Education is a common passion that we share with our customers, and as such, Teoxane holds at least one training event each working day of the year. Targeting customers with a need for development of product knowledge, scientific properties of HA or who wish to become more advanced in their techniques – Teoxane training covers all needs with all training avenues. As part of our training standards, Teoxane ensures all sessions are carried out in a clinical and clean environment, with adequate consumables, protocols and emergency equipment at every event to ensure the best standards of treatment during teaching and live injections. Cynosure training is delivered by Nurses or experienced Aesthetic Practitioners, who all have extensive knowledge and previous practical experience with Cynosure’s portfolio of lasers. They are also familiar with various other treatment modalities within the aesthetic industry, enabling them to give overall practice support as well as specific clinical training. Cynosure have a team of 4 employed Clinical Trainers and a Clinical Manager, who oversees all training and training development. Training is carried out in-house to minimise travel/disruption to delegates and clinic owners. Cynosure offers free of charge and ongoing support to ensure that the highest possible standards of care are delivered, and delegates are kept up to date with evolving industry trends and improvement in techniques/treatment protocols. Training courses are tailored to specific industry specialities including; NVQ Level 3 Beauty Therapists, Registered Nurses, Dentists, Doctors, Surgeons and Dermatologists. Training courses consist of both theoretical and practical training, covering the science of lasers, practical treatment considerations, managing adverse events and treatment strategies. Following training a written assessment is completed by each delegate to ensure standards have been met, and to highlight any areas that may need further support before delegates are certified. Delegates must complete a minimum of 3 patients each during practical assessments, to ensure they feel confident with treating various areas of the face and body, as well as different skin types/conditions. Once delegates are certified, support visits are booked 4-6 weeks following initial training to ensure delegates have further opportunity to discuss patients/questions they may have after treating, or for any reassurance they may need. The Galderma Academy Train the Trainer three-day course is the only course of its kind in the aesthetics industry which teaches clinicians to teach others. Using the Galderma Faculty and drawing on the well-established Harvard Business Model ensures consistency and alignment. The course is a peer-to-peer programme whereby key global and local experts and trainers from a multidisciplinary team undertake safe and scientifically grounded clinical training. The course is delivered in a dedicated state of the art training centre which means that key presentations and clinical elements are filmed, and individuals evaluate their own and the performances of each other in a way that leads to constructive, supportive feedback. Each course has four modules – two scientific curriculums on toxin and hyaluronic acid fillers, as well as a review of the entire Galderma portfolio and a clinical assessment of injection skills. Participants are asked to prepare presentations to outline and assess their scientific and practical knowledge and ensure that they are able to deliver a competent standard of facial assessment and injection technique. Days 1 and 2 focus on the science behind fillers and toxins, product characteristics and clinical evidence and understanding of the Galderma portfolio, with an evaluation of flash facial assessments. On day 3 there is an evaluation of podium presentation techniques, together with a demonstration of the skills needed for product selection and injecting. Sinclair Pharma’s training programmes offer instruction and guidance for three strategic products in our portfolio – Silhouette Soft sutures, Ellansé collagen stimulating dermal filler and Perfectha HA. We run one-day Silhouette Soft training courses which are limited to plastic surgeons, doctors and dentists. We only admit medically trained professionals because the company is scientifically and medically orientated with a strong safety record. When physicians invest in Sinclair’s aesthetic products it is important they are not just buying a commodity, and that they learn about the ageing process, its relationship to human anatomy and how our products can be skilfully applied to address them. The courses are hosted at Harley Health Village and the full day includes a theory session, a treatment/product demonstration and a hands-on practical session. Training in Ellansé is also run as a one-day course and is designed for surgeons, doctors, dentists and nurses. The focus of the training is on full-face rejuvenation using both needle and cannula. Ellansé training is held at Wigmore Medical’s facility in London, and workshops are also run regionally either in clinic or at the HealthXchange Academy in Manchester. The day-long course comprises a theory session about anatomy applied to aesthetic medicine, product demonstration and hands-on practical session. Skinbrands distribute several skincare ranges and treatment devices into the aesthetic market. All our offerings are supported with an intensive and informative training course especially designed for the client to achieve the best out of their investment. Our long term, extremely knowledgeable training team ensure that when our business partners leave our training, they understand all the benefits of the product as well as the commercial aspects available to them. We have four training venues located around the country offering clear and constructive courses. All our training schools are ideally located for easy accessibility. As well as courses that cover our skincare and treatment devices, we offer business support classes such as how best to retail products; the format of this class allows everyone the opportunity to join Skinbrands on training whether they are a therapist, manager or front of house staff. We feel everyone can benefit from attending training to maximise their sales potential within the business. Our training classes are full or half days that run for one of two days depending on the brand and cover both theory and practical work. Depending on the class, delegates need to have either level 3 or level 2 qualifications. Our two classes on The Power of Retailing and Skin Coaching run for half a day and are suitable for anyone of any level. Our training aim is to ensure that every one of our business partners are happy, confident and well educated on the ranges they stock. Wigmore Medical delivers a wide range of training courses to a varied audience of both medical and non-medical professionals. Our comprehensive and innovative training calendar—spanning skincare, injectables and equipment—encourages people from around the world to train with us and expand their professional knowledge. While the majority of our clientele is UK and Ireland based, we continue to welcome delegates from other European and Middle Eastern countries. Although the internet and social media has a large part to play, word-of-mouth recommendations remain the most popular advertising tool. We believe our delegates travel to us largely due to the way our training sessions are structured. Small classes with the opportunity to practice hands-on are led by our team of highly experienced Trainers who are fully familiar not only with the products and techniques, but also the business of Medical Aesthetics. Delegates often raise the question of how to successfully incorporate new treatments into their existing business, or how to go about starting up in the industry. Our learned Course Directors are able to offer their invaluable advice in an extremely competitive market. Our main training facility is conveniently located in Central London, a stone’s throw from Harley Street, however we also run our ZO courses in Birmingham, Leeds, Glasgow and Dublin. ZO training has proved so popular, we now host the London courses at the Royal Society of Medicine and at the Avanti Aesthetic Academy on Harley Street to accommodate delegate numbers and benefit from their state-of-the-art facilities. Open seven days a week, our well-stocked London training facility is also regularly hired by fellow training companies and product manufacturers. We welcome any opportunity for practitioners to continue their professional development, explore the latest launches or begin to evolve their practice into the field of Medical Aesthetics.